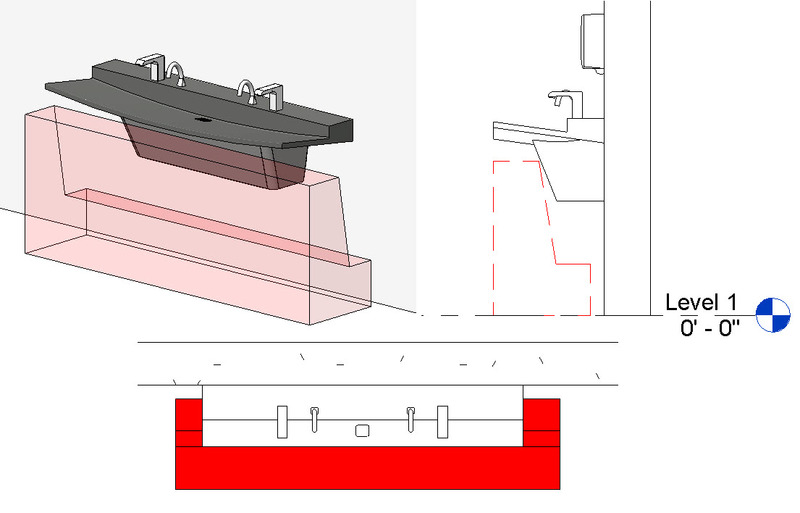 The image on the left is a front view of a Bradley solid surface lavatory Revit family. The PLAN & FRONT ELEVATION images on the right; show the lavatory family installed into a Revit project. The lavatory Revit family (on the left) embeds vertical and horizontal Reference Planes (green dashed lines); that define the vertical \ horizontal surfaces or center lines of lavatory components. Tip: This includes Water & waste connections, electrical, faucet & soap dispenser placement, lavatory structural support and installation height locations. 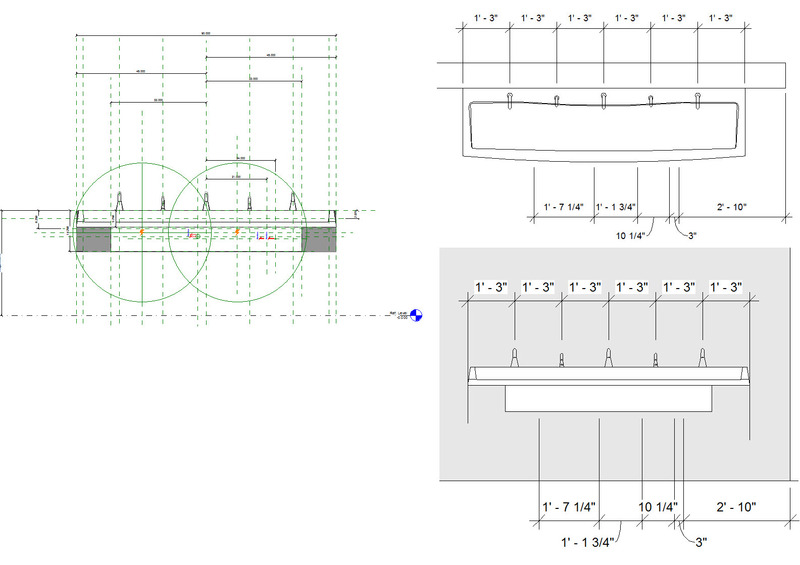 Images on the right (above), show dimensions often used in PLAN\ELEVATION view in architectural, plumbing and/or contractor drawings. Reference planes in the Revit Family are set to WEAK Reference; thereby allowing the Revit Project to dimension these locations.